In modern time with the advancement of computer’s in every field. There is huge demand of computer software and websites. No doubt many online builders are available which provides you facility to drag and drop website builders But all these platforms are limited. If you want expand business or want to survive with computer field. Then it is necessary to have basic knowledge about Programming Languages which are basic fundamental of that fields. Like PHP, ASP for Web Development or Java for Software development and many more fields. Today every person is in hurry and they don’t have time to learn programming skills. Also it is expensive for the poor people to learn such skills. So to learn programming, Online websites are one of the more efficient ways. People can learn when they have time to learn through websites. 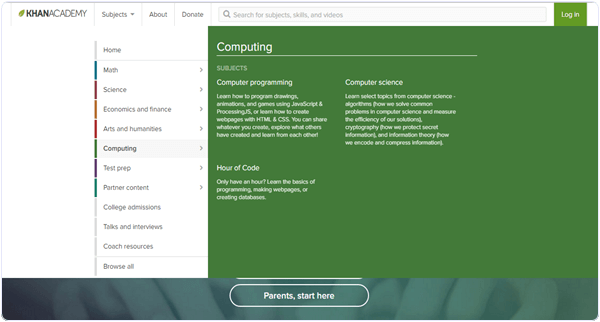 Even we can learn programming online wherever we want to do. So here are some best websites to learn programming online. Which help to improve your coding skills. Best Websites To Learn Programming Online. W3schools.com is the one of the most famous in all websites to learn programming language including web based, desktop based and database languages. It offers all these courses for free. According to me W2schools is best platform to start learning coding online from very basic level to advance level of a particular course. It divides the course into chapters and Coding Editor is also available for practicing at the end of every chapter to test your skills. Upon visiting the main page, you just have to choose the course of your choice for free and start learning. After you finished courses in Codecademy or Code Avengers, and you are ready to further expand your capabilities, Code School is the next quality website you should land on. Unlike most interactive learning sites, Code School offers more in-depth courses to train and turn you into an expert with the industry’s best practices. Code School charges $29 for unlimited access to every course. It is not for the beginners but for medium level programmers. It provide the highly expertise knowledge related to every course we join. Treehouse courses are more project-oriented than language-oriented, so they are perfect for novice programmer with a planned purpose, such as building a website, or an application. For example, the Websites course is all about building a responsive website, interactive website or even WordPress theme – a very practical and efficient way to master related languages. Nonetheless, they have released a plethora of foundation courses with a video-then-quiz approach. For Treehouse, every course is divided into different stages or modules, and beyond every first stage the learner will be invited to pay a monthly subscription fee of $25 to access all courses with 650+ videos, and an exclusive Treehouse Members Forum as a bonus. If you are serious about your programming future, you could subscribe the $49 monthly plan to obtain in-depth interviews with leading industry pros and cutting-edge workshops. Its another good platform to learn programming online. Udacity is the video lectures based and also offer improved quizzes to achieve the interactive feel for students, so it’s ideal for those who don’t like to read but rather get explanations from industry professionals such as Google employees.You will be given a screencast from pros discussing the topics and instructions, then you will take either logic or programming quizzes to strengthen your understanding or forge it into a skill. 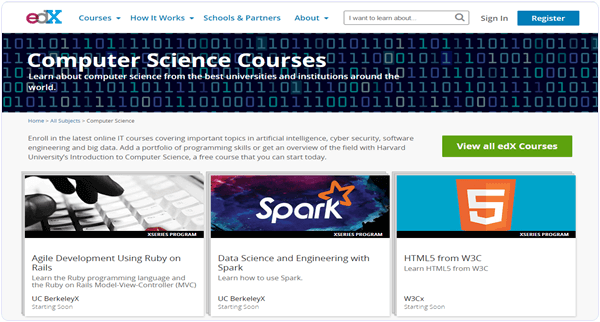 The good thing about Udacity is it provides more videos than any other site, and the instructors are either real-life professors or industry veterans. It is another best website to learn coding online. It provide free courses for Mysql, Sql server, Oracle, DB2 etc. We can easily learn how to store, retrieve data from database and perform basic operations on the databases. These courses are available for free without any cost. If you want to become a database expert then this website is really for you. It is another good website which offer free of cost course for HTML, CSS, JS etc. We can easily learn how to develop interactive web pages. 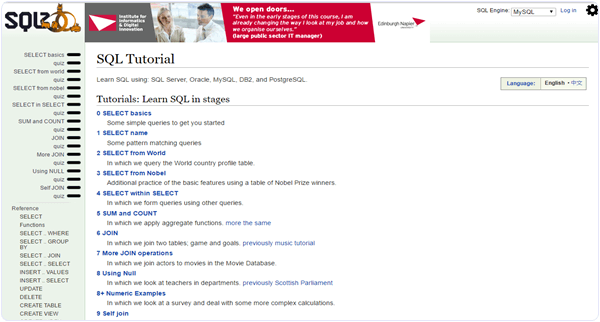 It also provide knowledge of SQL. We can easily learn to store and learn data on database. It also provide advance level of Java script. All the courses are divided into various modules. It is specially helpful for beginners in Web designing. This website also provide various study courses in different subjects. These are few best website to learn programming languages. If you know any of the best source to learn programming online which is missing must leave your comment.